The capacity of Huari sliding glass door island commercial display refrigerator is above 500L, such as the models SD / SC-506A, SD / SC-706A, SD / SC-906A, the large capacity is suitable use for food factry and big commercial supermarket . The design of sliding glass door island commercial display refrigerator is very science and practical. 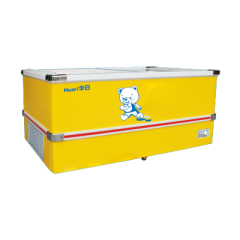 The space design can ensure maximum utility capacity, the widely voltage design can use in the regions with unstable voltage, the sliding glass door is very convenience for user and enlarge the display area, transfer temperature can meet fridge and freezer demands. 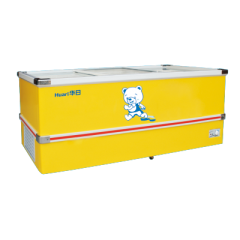 With brand compressor and thick foam layer, high efficiency to freezer the food.